Lid for 6.5 Gallon Bucket - Solid - Texas Brewing Inc. This lid fits our Texas Brewing Inc 6.5 gallon fermenting and bottling buckets. This lid is solid and has no grommet for an airlock. 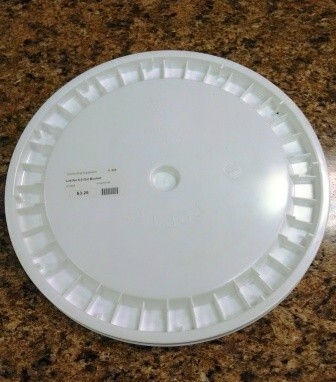 If you need a grommeted lid, check out this Lid for 6.5 Gallon Bucket w/ Grommet.